Here at ÉCU, we feel deeply honored to be partners with so many festivals from all around the world. From Berlin to Bali, from the United States to Africa, from Nazareth to London, our festival friends are a crucial part of what we do. Interested in doing something together? Get in touch with us! Arkadia ShortFest is an international short film festival, which happens in the town of Băicoi, Prahova. What do they offer? 3 days of artistic events, taking place in an authentic space and making easier for Prahova’s surroundings new generation the access to art and culture. Evolution! Mallorca International Film Festival is the fastest growing competitive, international film festival in the Mediterranean. Now in its 6th year, it is based in the heart of Mallorca’s buzzing centre of Palma. For 10 days, EMIFF showcases features, shorts, documentaries, music videos, animation shorts and experimental shorts by filmmakers from Mallorca and around the world to an audience of film executives, journalists, film fans and filmmakers. Along with screenings, there are seminars, workshops, and parties to allow everyone a chance to share their passion for film. Lucca Film Festival is a film festival that promotes a cinematic culture from the plurality of looks, styles, and perspectives. The Berlin Music Video Awards (BMVA) is an annual festival that puts filmmakers and the art behind music videos in the spotlight. Supporting both unknown and famous artists, it is a primary networking event for the video and music industries in Europe. Filled with a vast selection of music video marathons, professional judges, live performances, filmmaking workshops and networking events, the festival is not only a meeting ground for filmmakers, but also for musicians as well as all music enthusiasts. No matter the language, genre, or popularity, BMVA reward on quality, originality and diversity. After creating the Papaya Young Directors Contest, Papaya Films Original Series & Papaya Films Presents Stories, the founders knew they wanted to take the next step so they created Papaya Rocks Film Festival. Brought to you by the Papaya Films London office this new film festival will offer filmmakers the opportunity to screen their films in London. Through Papaya Rocks Film Festival the organisation aims to discover, support and nurture new talent in filmmaking by offering a platform for emerging and established filmmakers from around the world. Aegean Film Festival is a cinematic encounter that brings together filmmakers, industry delegates and festival programmers. Their mission is to create an exceptional context where filmmakers and film-lovers gather in this unique Greek island to share the love for independent cinema, present and discuss their ideas and work, benefit from master classes, or simply relish the visual and intellectual inspiration offered by carefully selected feature films, short films & documentaries. EFF is an international film festival for unconventional independent film, organised at several vibrant locations in Eindhoven (NL). The 8th edition will take place from the 28th of November to the 2nd of December in the centre of Eindhoven; an innovative city with a worldwide top position in technology, design and knowledge. Kerry Film Festival is an internationally recognized film festival which takes place each October, in the picturesque town of Killarney, Co. Kerry in the south west of Ireland. Presenting outstanding short and feature films, plus a unique film score programme the festival celebrates emerging filmmaking talent, introduces filmmakers to the industry at large, and creates new film experiences for audiences. VIEW Conference is the premier international event in Italy on Computer Graphics, Interactive Techniques, Digital Cinema, 2D/3D Animation, VR and AR, Gaming and VFX VIEW 2017 will continue to focus on exploring the increasingly fluid boundary between real and digital worlds. Through lectures, meetings, tributes, exhibits, screenings and demo presentations VIEW will reveal the new digital frontier sweeping from cinema to architecture, from automotive design to advertisement, from medicine to video games. Founded in 2006 in London, UK, The Smalls Film Festival has been championing independent filmmaking and creative people for over a decade, making it an essential destination for filmmakers from across the globe. With a one-of-a-kind mix of fresh talent and Academy Award winners, our 16,000+ strong community of filmmakers come together once a year for the most dynamic, hustle-and-bustle week in the short film industry. The Cinalfama Awards are given every two months in the live Cinalfama Awards Sessions, where the winners are announced and the Best Feature Film and Short Film categories will be screened. The winning films in each of these sessions will automatically compete in the 2017 Cinalfama Annual Award Session, where all the best short film and feature film winners will be screened again. Rural FilmFest El Edén de La Mancha is an International Short Film Festival. 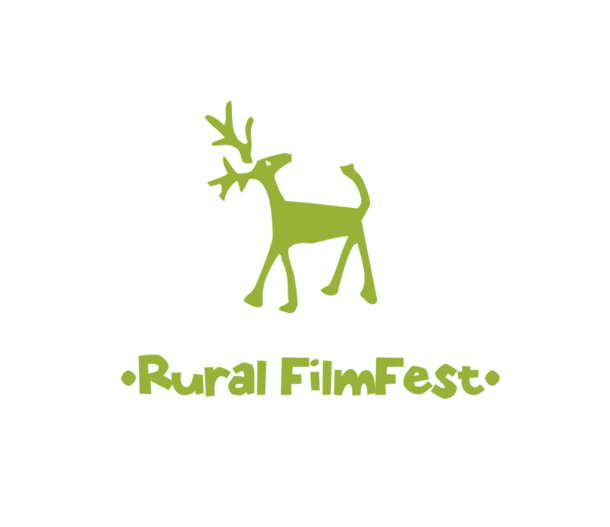 RFF is celebrating this year 2017 its fifth edition. They admit fiction, animation, documentary short and feature films, in which the theme can be related to a rural world or not. Since the first CineFest in 2004 the Miskolc International Film Festival is on a very promising way to becoming a major Central European film event. Year by year, Jameson CineFest attracts thousands of movie fans and visitors from the whole world. The former industrial city of Northern Hungary, Miskolc, the third most populated city of the country, thanks to the significant innovations and careful restorations is one of the cultural, touristic and spa centres of Hungary. The city’s old houses, streets and places were almost completely renovated. Miskolc and its surroundings have many architectural, artistic and historical sights, as Lillafured, the medieval castle of Diosgyor or the nearby beautiful Bukk Mountain. The breathtaking cave bath and spa in Miskolc-Tapolca is a really unique natural formation. International Festival DetectiveFEST was founded in 1999 with its main aim to promote detective fiction and support filmmakers encouraging the fight against corruption and terrorism. Since its inception, the festival has become a unique event in the cultural and social life of Russia and ex-Soviet states and has gained an international following. Russian Film Week is rooted in the belief that cultural endeavors build bridges between people and nations. Their goal is to create an international platform for showcasing all Russian themed films we can provide a place for cultural dialogue and mutual understanding. For the second year running, RFW selects the best contemporary films with a Russian theme, whether from Russia or based on Russian literature, events or people, and showcases these to British audiences all over the UK. Sguardi Altrove Film Festival, is an international competitive exhibition, this year at the 26° edition, and our principal goals are towards a reflection around the feminine world, in a cultural, political and social context, framed in an international level. The Festival embraces an intercultural dialogue with “otherness” culture in filmmaking: from the beginning, our attention is towards film coming from different cultures and countries, especially towards those projects, that even though represents high artistic standards, find difficulties in entering the commercial networks. For his 26° edition (17-23 June 2019), Sguardi Altrove Film Festival will have as main theme Beauty and courage: plural contemporary feminine and as focus, two reflections over: Pioneer women in European cinema; Women and Technology, Women in code (binary). Around Films is a network-based film collective which gathers our international colleagues all around. Alongside the aim of creating a custom approach, ARFF international selects the best filmmakers through the annual festival to associate with the related edition to enhance the collective consciousness through the visioners in the world. The Aesthetica Short Film Festival is the major UK and international film festival. It screens 400 films from 40 countries worldwide in 18 iconic venues across the city of York, UK. ASFF is a hotbed for fresh ideas and talent discovery. Featuring a series of industry sessions, networking opportunities and guest showcase screenings, the festival is a destination to experience the power and craft of cinema. The DC Shorts Film Festival will showcase one of the largest collection of short films in the USA. The 11-day festival will include 4 days of educational events, a family showcase at 7 DC public libraries, Several Specialty Showcases (LGBT, etc. ), a Screenplay Competition, and 6 receptions for filmmakers to schmooze with other filmmakers and their audience. The NYC Indie Film Festival provides a showcase for the best in independent cinema, including short films, feature films, music videos, VR and animated works. With panels, parties and a week-long gathering of fellow indie filmmakers from around the world. The NYC Indie Film Festival is the place to be May 5 – May 12, 2019. 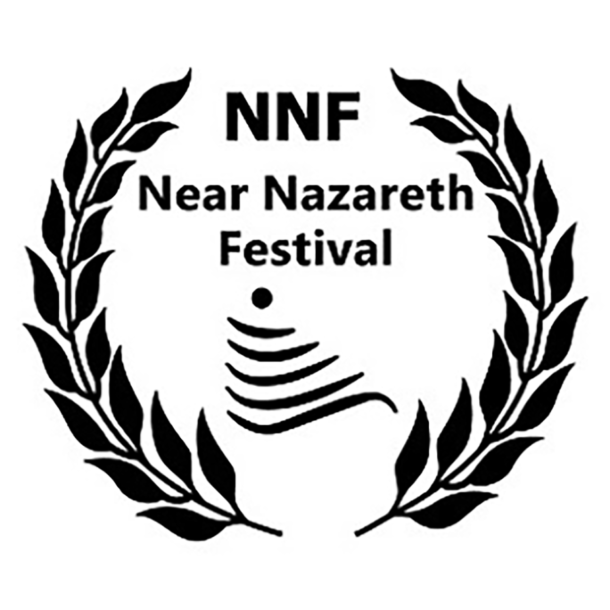 The Near Nazareth Festival is a film festival that is held annually in Israel and serves to strengthen mutual understanding and friendship between the peoples of the world. Through cooperation with movie lovers and filmmakers from around the world, they will make history. Today, filmmakers from 65 countries participate and present their works during the festival. Celebrating its 10th anniversary this year, Tangier international Film Festival has firmly established itself on the regional film fest circuit as one of the most reputable African film festivals. Offering an impressive selection of competitive Features, Fiction shorts, Animation Shorts and Documentary shorts with the presence of very important distributors and festival agents from around the world. Launched in 2009 by Laboratoire d’Art, Cabriolet Film Festival (CFF) is the first outdoor film festival of its kind in Lebanon. Since its inception, CFF has become an annual cultural event taking place over the course of three consecutive nights on Saint Nicolas Stairs – Gemmayze, in the heart of Beirut. The Notre Dame University-Louaize International Film Festival (NDUIFF), a short film festival founded in 2007 at NDU, Lebanon, is celebrated annually in November under its constant theme “The Power of Youth.” As the theme reflects, their mission is to promote young filmmakers by screening their films in front of a large audience and promote their talents and artistic excellence. Zanzibar International Film Festival is one of the highlights of the island nation’s cultural calendar with thousands of people attending every year. Films, filmmakers, film-lovers and tourists all flock to the 9-day event that celebrates music, the arts and the spirit of the island itself. The ZIFF Festival of the Dhow Countries is organized by ZIFF, a non-governmental, non-profit organization founded in 1998 in Zanzibar to promote and showcase the culture of the Dhow Countries. Bali International Film Festival, also known and registered as BALINALE, invites international filmmakers to present their work to a discerning audience that’s a wonderful mix of locals and expatriates from across the globe. Recognized internationally for the diversity of its programming consisting of Indonesian and international independent and award-winning fiction, documentary, feature and short films, it is also credited for the quality of the associated events where filmmakers enjoy BALINALE’s relaxed and familiar manner informally meeting to discuss films, trends and the demands of a growing fast paced industry.